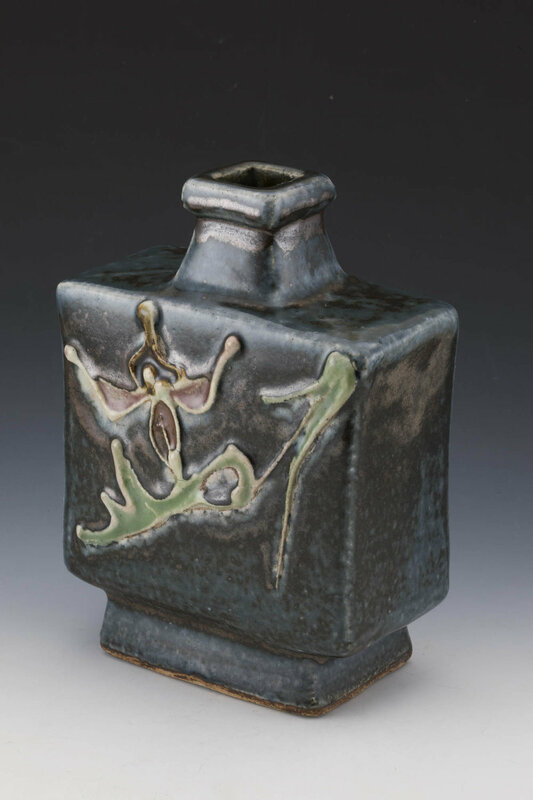 Sudo Takeo (1931-1998) was born in Mashiko and worked at his family kiln, Tobo-Hinata, which was established in 1868 by the first potter of this lineage, Sudo Yujiro. Takeo had known Hamada Shoji from childhood and worked with him for a period of time, adopting some of Hamada's signature Mingei techniques and motifs. Sudo continued to work at his family kiln until his death, and now the family tradition is continued by his son-in-law and grandson.